The Huawei sub-brand, Honor recently released the inexpensive, yet feature-packed Honor Band 4. 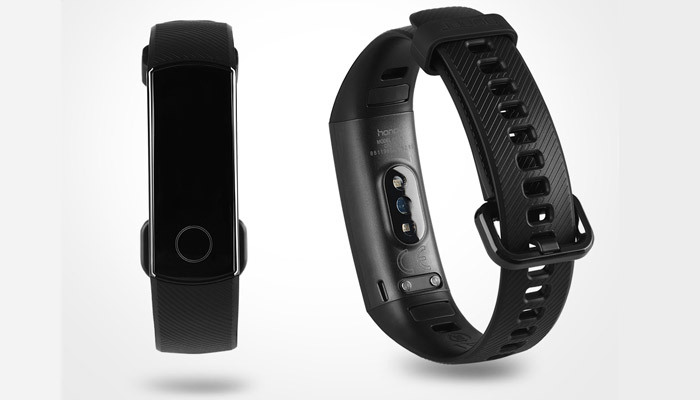 Announced on September 5th in China, the Honor Band 4 was released along with it’s more capable brother, the Honor Band 4 Running Edition. Both feature a full-touch AMOLED display, water resistance of up to 50 meters and fairly decent battery life if you don’t opt for the advanced sleep tracking. The Band 4 has been available since early September in China at the very attractive price of 199 Yuan (£22 | $29 | €25 ), but since we are the import market, you can add around 30% onto the price-tag. 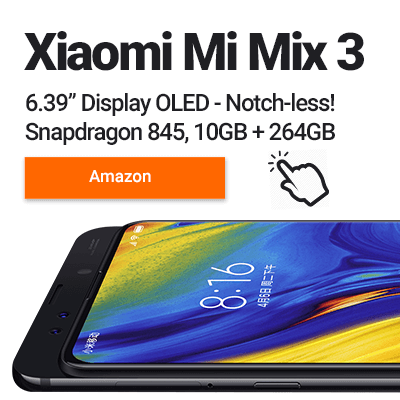 Still, that’s a pretty good deal for a colour AMOLED fitness tracker that’s trying to steal the budget market from under the Mi Band 3’s feet. 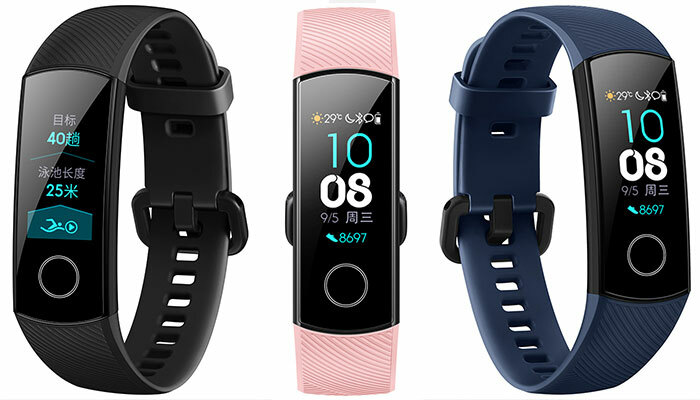 Available in three colour options: black, blue and pink, let’s see how the Honor Band 4 stacks up. Check out the latest Honor Band 4 early sales prices.. The Honor Band 4 is the first wearable of Huawei to feature a coloured display. The full-touch, 0.95 inch AMOLED display on the Band 4 also comes with 2.5D glass which forms a seamless edge around the wearable. The screen’s OLED technology offers good contrast, has okay viewing angles and touch sensitivity is also good. In bright sunlight, the display is still difficult to see. If you’re going to be using your fitness tracker outdoors a lot, check out the backside illumination wearables available from Amazfit! Equipped with the Huawei TruSleep 2.0 technology, the Honor Band uses CPC or cardiopulmonary coupled dynamics spectrum to monitor your complete sleep pattern. This includes monitoring your deep sleep (REM) and also analysing your sleep patterns. Rather than just showing this data in a graph, the Band 4 will offer your sleep improvement suggestions specific to you. It’s also water-resistant up to 50 meters and comes with a dedicated swimming mode to make the most of this. The other sensors in the Band 4 include an infrared sensor, a 6-axis motion sensor, and a PPG heart monitor. To measure your heart-rate the fitness tracker uses Huawei TruSeen 2.0 heart-rate technology. This allows the device to have 24-hour continuous accurate heart-rate monitoring although it does lower the 14 days standard battery life. As well as health & fitness, you also can set up notifications for calls, texts and apps. As well as being able to cancel and accept phone calls, if you have a Huawei or Honor smartphone, you’ll also be able to take pictures remotely via the band. At only 23g grams, Band 4’s sleek design is simple, yet enticing thanks to the three colour choices. The profile of the band looks stylish, protruding a lot less than the Xiaomi Mi Band 3. Similar to that of its predecessor, the Honor Band 3, the Honor Band 4’s design features the same circular home button below the 0.95 inch AMOLED display. But unlike the Huawei Band, the buckle on the Honor tracker isn’t the best. Rather than design the button to recess in, it sticks out. The band itself, which is made out of TPU plastic feels well made, but not premium. 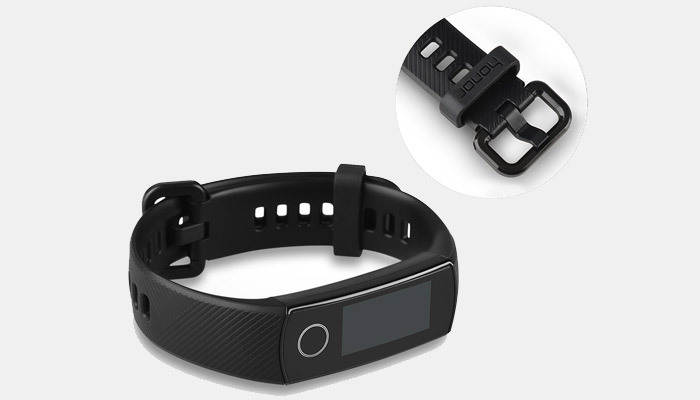 The good thing about these cheap fitness trackers is that after a few months, they’ll be plenty of after-market bands available. 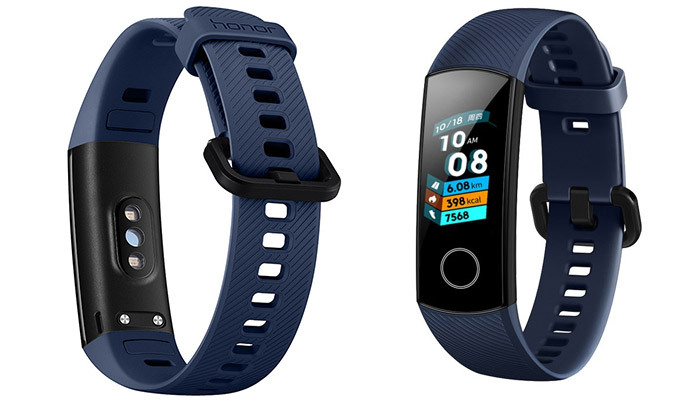 The Honor Band 4 offers plenty of fitness tracker features, and most importantly comes in a very competitive price-point lower than almost all big names competitors. While the Huawei Health App isn’t the most polished experience, the band itself excels thanks to the colour OLED display used. Add to this the 50m waterproofing, advanced sleep tracking and low profile design and there’s a lot to love. 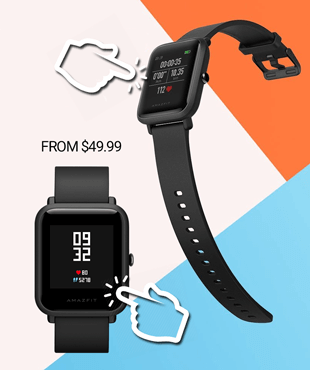 Honor might have bitten their own hand though, as they’ve also released a sports version that can be attached to your trainers during your workout! A breath of fresh air in what’s become quite a stale budget fitness tracker market. Stay tuned though, as you’ll want to wait for the officially supported English language update.